Whoa! Have you got your sunglasses on? This card went a little wild on me - I didn't intend for it to be this bright but I think its growing on me every time I look at it! This method of water coloring is a brand new technique to me - I think I require a lot more practice but I have to start somewhere, right? I've always used blender pens and ink to create the water color effect but boy oh boy how did I manage without an aquapainter all this time?!! Plus, it gives me a great new avenue to use the Secret Garden set in a whole new way! So I'd love to explain how I did this, but I might leave you with more questions than answers LOL. First I stamped the words from the French Foliage set in Staz-On ink across the entire piece of watercolor paper. 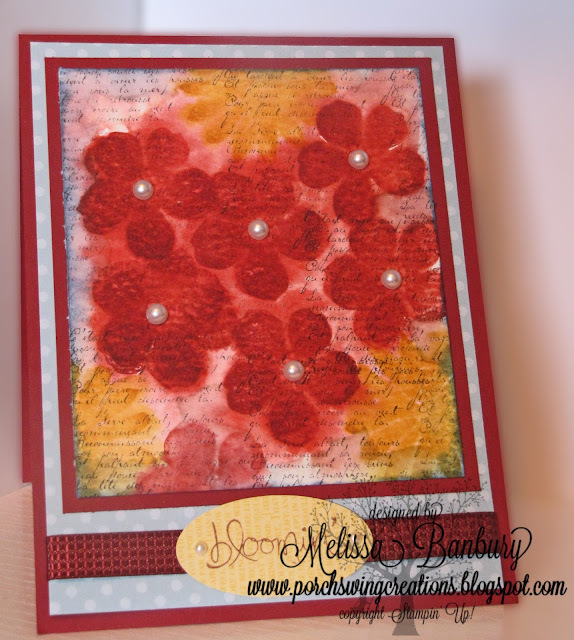 I then slightly wet my paper with an aquapainter then immediately began stamping the flowers in Cherry Cobbler. The color will quickly pool and run in every direction; so be prepared. 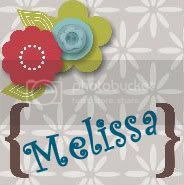 At this point I moved some of the color around with the aquapainter then stamped the flowers again. I continued with this process until I was satisfied with the depth in the color of the flowers (in the end I probably stamped the flowers 5 or 6 times). Next, I moved onto the More Mustard flowers and repeated the same process. When I was happy with all the flowers I rubbed my Marina Mist ink pad along the edges of the paper and used the aquapainter to pull some of the color inwards on the paper. I think next time I'll try use one of the outlined images from the set to repeat this technique. I found a beautiful version on Pinterest that used Poppies - perhaps future inspiration!